Almost 8 million Brits will enjoy a vegan or veggie Christmas, according to an animal welfare charity. Humane Society International UK says around 12 percent of the population 'will be enjoying delicious plant-based festive food instead'. 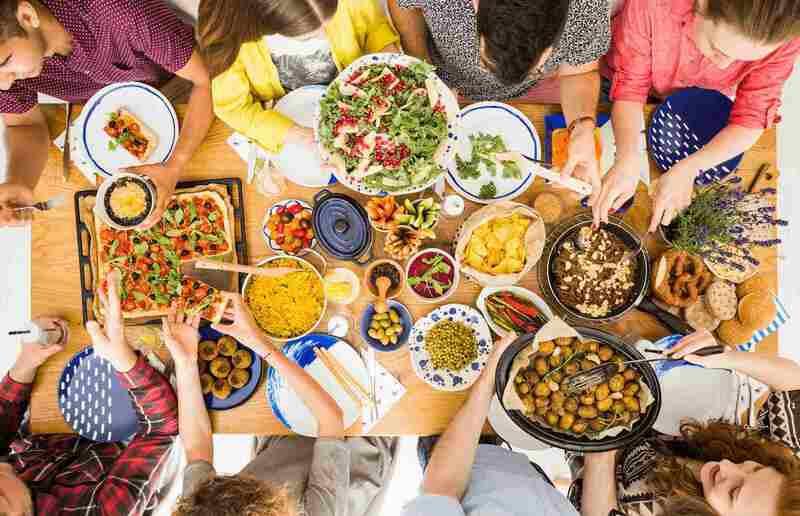 Statistics released by Waitrose this month revealed that 13 percent (one in eight Brits) now identify as veggie or vegan (though some also admitted to eating animals on rare occasions). "It's so easy to have a compassionate Christmas instead, as there are now so many delicious meat-free options available at British supermarkets," Humane Society International/UK's Media and Campaigns Manager Harriet Barclay said in a statement sent to Plant Based News. "There are veggie versions of almost all Christmas classics so you can still enjoy your traditional favourites without harming animals. Give peas a chance this Christmas and leave turkey off your table." Accoring to HSI/UK, there is a 'vast range of tasty meat-free alternatives for your Christmas centerpiece'. "Global sales of meat substitutes, such as seitan sausages, Tofurky, or Vbites celebration roast, are booming, according to Allied Research," the charity says. "Sales are set to reach $5.2 billion by 2020, with the EU being the largest buyer of mock meat."